Prominent & Leading Authorized Retail Dealer from Mumbai, we offer fire retardant cloth, fire retardant fabric, silicon coated fire resistant canvas, vinyl polyester fabric and fire retardant canvas. Our Flexible Duct Connector consisting of a Fire Retardant Cloth, secured to the galvanised sheet metal on either side by a double lock seam is inserted between the equipment/air duct & the ductwork to provide a wear resistant Airtight flexible connection to eliminate vibrations, noise & rattles. 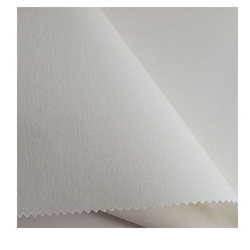 We have Fire Retardant Fabric ranging from - 30 deg cent. to 250 deg. cent. The general uses are in Duct Connectors within AHU/FCU, Exhaust fans and Sirocco fans. They are Mildew resistant waterproof and good for the moisture-laden air. Our high-quality canvas has unmatched durability and strength. The Silicon Coated Fire Resistant Canvas is Fire Retardant type. Glass Fabric temp resistance up to 550 deg.cent. 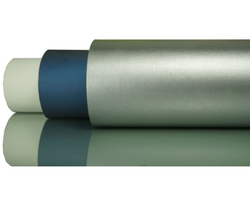 Silicon coating temp resistance up to 250 deg. cent. Flame resistant tested as per ASTM E84 Class 1. 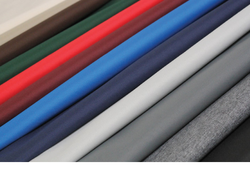 The quality assured neoprene coated Vinyl Polyester Fabric is quality polyester reinforced fabrics that find use in varied end uses. Finding use in outdoor applications as well as in indoor areas, we offer these in different specifications as demanded by the customers. Some of its features include quality PVC coated material in different weight from 10oz, 14oz to 40oz choices, available in different width options, offered in different color choices, well developed slitting, die cutting and other support for delivering quality assured PVC coated products and others. Further, we can also custom develop these in exact specifications as demanded by the customers. Our expertise lies in offering Fire Retardant Canvas that come certified as per industry standards as well as are also breathable with no possibilities of gathering moisture. Further, these canvas traps also resist water and rotting with choice of offering in triple thick hem choices. Some of its advantages include use of heavy duty brass grommets, longer service life standards and others. Further, we can also custom develop these canvas as per the specifications provided by the customers. 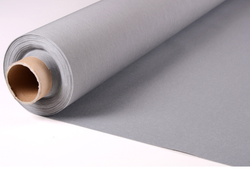 Looking for “Fire Retardant Canvas”?